Get ready for the Juke Box Heroes tour!! That’s right, hot off the back of last year’s 40th anniversary slog, Foreigner are at it again, joining forces this time with Whitesnake in addition to last year’s supporting act Jason Bonham. Catch them live at the Blossom Music Center on Tuesday 10th July 2018 – get your tickets early though, they won’t last long!! As two of the biggest names in rock in the 70s and 80s, it’s only fitting that Foreigner, known for their massive smash hit singles such as “I Want To Know What Love Is,” and Whitesnake, responsible for “Here I Go Again,” and “Is This Love” should tour together this year. In addition, they’ll be joined by Jason Bonham, son of Led Zeppelin drummer John Bonham. This will be the second time he’s supported Foreigner on tour! We can hardly wait for this spectacular classic rock show to take place! What are you waiting for??? 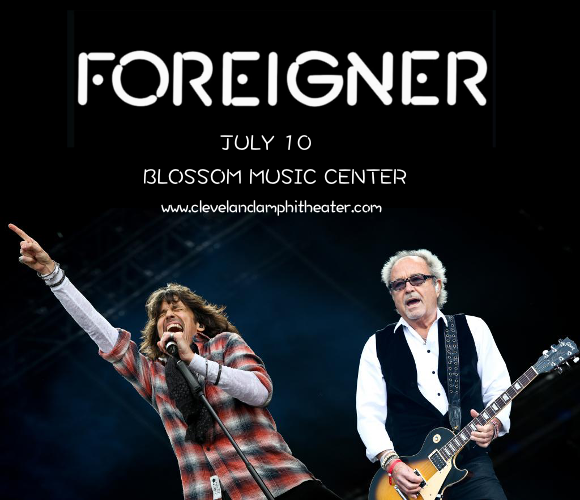 Grab your tickets to see Foreigner, Whitesnake and Jason Bonham live at the Blossom Music Center NOW while they last! !